Nose reshaping surgery (rhinoplasty) can give your nose a more aesthetically pleasing or better-proportioned look. Our noses are very important. The most central and prominent feature on our face, they also perform a vital function, allowing us to breathe. For a lot of people, though, they can be a significant source of dissatisfaction or unhappiness. The problems they present can be aesthetic: you may not like the size or shape of your nose, or feel it’s out of proportion with the rest of your face. They can also be functional: accident or injury leaving it bent or crooked, causing nasal blockages or difficulty breathing. There are therefore a wide range of reasons why people seek nose reshaping treatment – or rhinoplasty, as it’s also known. Whatever yours may be, though, Dr Marcellino is here to help. For Dr. Marcellino open and honest communication with all of his patients is a key component of successful treatment. At your consultation, he will listen to exactly what it is you are unhappy about regarding your nose. From there, he will talk through the best way to correct the problem, discussing each of the available options, along with the associated timescales and costs. As with all of the procedures Dr Marcellino’s performs, the treatment he proposes will be highly personalised, designed and refined to meet your individual needs. At your consultation he will listen to exactly what about your nose you’re unhappy with. He will examine your nose, measuring its shape and size. He will also take some photographs, so that after your surgery the results can be compared with your original appearance. Standard rhinoplasty– full nose correction of the bridge, nose tip and alar bases (the outer portion of the nostrils). Septo-rhinoplasty– full nose correction, including the alteration of a deviated septum (the cartilage partition within the nose). Rhino-tip – Correction of the tip and alar bases of the nose. As well as performing reduction rhinoplasty, where the nose is reduced or trimmed in size, Dr Marcellino can also perform augmentation rhinoplasty, where it is made larger, or given more bulk, the overall aim in either case to achieve harmony and proportion within the face. Your operation will normally take up to three hours, depending upon the procedure or procedures being performed. Some procedures can be performed entirely inside the nostrils (closed rhinoplasty). 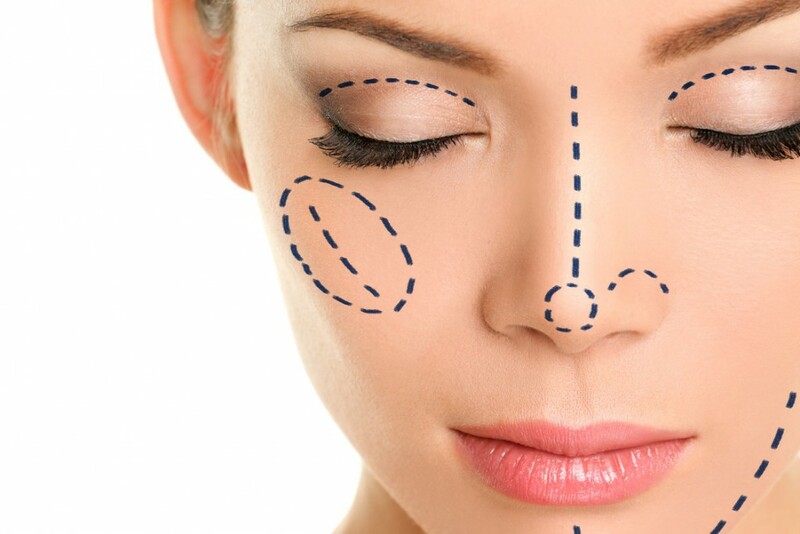 Others will require an incision or incisions to be made on the outside of the nose (open rhinoplasty). Dr Marcellino will advise which will apply to you at your consultation, thoroughly explaining every aspect of your treatment. The operation is normally performed under general anaesthetic. An overnight stay is therefore required. Where general anaesthetic is performed, you will be asked to follow fasting instructions. This means not eating or drinking for around six hours before the operation. Both Dr Marcellino and your anaesthetist will provide precise advice on this in advance of your procedure. Dr Marcellino will visit you in your room prior to your surgery, marking your nose with a pen in preparation for the procedure, also allowing you with the opportunity to talk through any last minute questions you might have. A final consent form will also need to be signed at this point. As with all surgery, there is likely to be some bruising and swelling afterwards. This is completely normal and tends to settle within the first few days. You may be given an ice pack to control this. Painkillers will also be made available to manage any discomfort you feel as the effects of the anaesthetic wear off. You may require a splint to be placed over your nose after your operation. Your nose may also need to be packed, meaning you will have to breathe through your mouth until it is removed the following day. There will be some pink scarring in the affected areas. However, this will fade with time to form faint white lines. As the incisions are made along the natural creases of the nose, every effort is made to ensure that the majority of scarring is hidden. The incisions inside of your nose are usually closed with dissolving stitches so they won’t need to be removed. If you have stitches in the outside skin, these will be removed around a week after your operation. The splint will be removed after seven to ten days. You will need to rest in an upright position for the first few days after your surgery and avoid bending down. Dr Marcellino normally recommends that you take between one and two weeks off work depending upon the extent of the surgery. You should ideally avoid interaction with large groups of people during this period to avoid catching a cold. Physically demanding activity will need to be avoided during this period, which should be set aside for rest and recovery. Strenuous activity should be avoided for four to six weeks. A post-operative appointment will be made for you with Dr Marcellino between three and seven days after your surgery. It is very important that you attend. It is important that those considering surgery have realistic expectations and are in good health. As with all surgical operations, there are some potential risks to consider. Dr Marcellino will discuss these with you at your consultation, addressing any questions or particular concerns you may have. Some thought should also be given to practical considerations such as child care provision during your recovery period. "Beauty is certainly a soft, smooth, slippery thing, and therefore of a nature which easily slips permeates our souls."